Why should China include a gender perspective in its climate change policies? 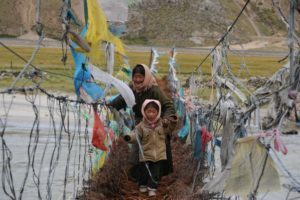 Women are playing a leading role in coping with and adapting to climate change in the mountainous rural areas of China’s Yunnan province, where disruptions in weather patterns and increasingly extreme events are expected to impact agricultural livelihoods. However, while women are assuming more responsibility than men, their voices are mostly excluded from the policy-making processes that affect their daily lives. A study on adaptation to water related hazards and climate change conducted in this southwestern province by researchers from the World Agroforestry Centre (ICRAF), the International Centre for Integrated Mountain Development (ICIMOD) and the Yunnan Academy of Social Sciences demonstrates the importance of gender inclusion in responses to climate change in the region and warns that the lack of a gender perspective in Chinese policy-making could undermine climate adaptation efforts. 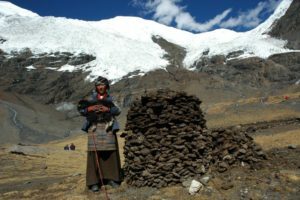 The study was part of an international research project under the Himalayan Climate Change Adaptation Programme (HICAP). “Women in the region have important responsibilities as managers of natural and household resources and are therefore well positioned to contribute to adaptation strategies. But they are more vulnerable than men to climate change as they face more social, economic, and political barriers limiting their adaptive capacity,” said Su Yufang, ICRAF China’s deputy director and the lead author of the study. Based on surveys undertaken during a record-breaking drought in 2012, the study explores how women and men in Haitang, a village in Yunnan’s Baoshan Prefecture, perceive and respond to drought and how the changing roles of women and men in the home and the community are influencing water management at the village level. In Haitang, off-farm wage labor outside the community has for some years been an important income-generating strategy. As the drought continued, increasing numbers of men as well as some younger women migrated, and the remaining women assumed more responsibility for agricultural production. However, traditional social norms continue to limit women’s decision-making power in household farming enterprises and in community resource management. One of the important findings from the study was that men and women use strikingly different approaches when faced with water shortages and their consequences on agriculture. Less than half of the men in the village reported simply waiting for the rain, while less than a fifth reported transporting water to their crops. The preferences for women, however, were reversed, with just under half reporting that they transported water to their crops, and less than one fifth claiming to simply wait for rain. In addition, the women actively pursued more immediate responses to drought than men by, for example, decreasing the cultivated area or adjusting the timing of planting. And as the drought continued, men and women showed further differences, with women being more likely to consider shifting into forestry and animal husbandry after successive low yields. Another interesting finding related to the definition of “collecting water”. Men understood gathering water as looking for new sources of water when old sources dried up, which is their main responsibility, but the actual carrying was primarily women’s responsibility. But while the men believed they were responsible for coping with the water shortage in the household, it was actually women’s daily workload that was more significantly increased. At the community level the study observed that although technically possible, no woman has ever been appointed as a water manager. The managers are selected by the village committee and approved by a meeting of the villagers’ representatives. They are responsible for water tank and pipe maintenance and for domestic water allocation at the village level. Both men and women said that this was due to the skills and physical strength needed to repair pipes and water infrastructure, as well as a perception that it fell outside women’s traditional domestic roles. However, as water scarcity continued, conflicts over water allocation became more frequent, and both men and women acknowledged that women have become increasingly active in monitoring water allocation along with water managers in order to reduce the risk of fights among the men. Women are seen as able to solve these conflicts and ensure equal distribution through negotiation rather than physical fighting. As the effects of climate change become more tangible, national and provincial governments have announced new policies and governance mechanisms for drought response and climate change adaptation, but none of these policies address gender issues. The case for more attention to the gender dimensions and impacts of climate change becomes critical as agricultural production becomes increasingly feminized and women take on multiple and non-traditional roles. The study’s findings indicate that women are taking on an increasingly active role in managing water during droughts but they are still excluded from formal decision-making about water management at the community level. Consider gendered differences in vulnerability and value women’s traditional knowledge and practical experience. Provide local communities, and particularly women, with climate change information and technologies to improve their adaptive capacity. Ensure women’s participation in the planning and construction of drinking water and irrigation facilities to ensure these facilities meet women’s needs. Support women’s participation in community-based water management bodies, and promote the development of women’s organizations. 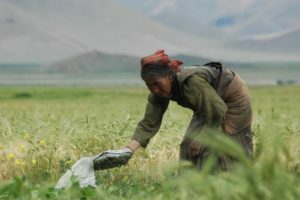 The lack of information and meaningful engagement with gender issues could lead to unfit government-supported adaptation responses that may not address the different priorities and needs of rural women, further marginalizing them, and will hinder the opportunity to benefit from women’s active contribution to water management. By Ana Maria Paez-Valencia and Manon Koningstein, originally published at ICRAF’s Agroforestry World. This research is part of the Himalayan Climate Change Adaptation Programme (HICAP), which is supported by the governments of Norway and Sweden and jointly implemented by the International Centre for Integrated Mountain Development (ICIMOD), the Center for International Climate and Environmental Research at Oslo (CICERO) and GRID-Arendal in collaboration with local partners. Additional funding was provided by the gender cross-cutting component of the CGIAR Research Program on Forests, Trees and Agroforestry (FTA).